Commonly referred to as the Pearl of the Mediterranean Sea, Malta is highly underrated as a European destination by many travellers mainly due to the fact that a lot of people don’t know where Malta is, or the lack of knowledge as to what there is to do and see there. It’s quite unfortunate because Malta is chalk full of wonderful beauty, both in its scenery and people. 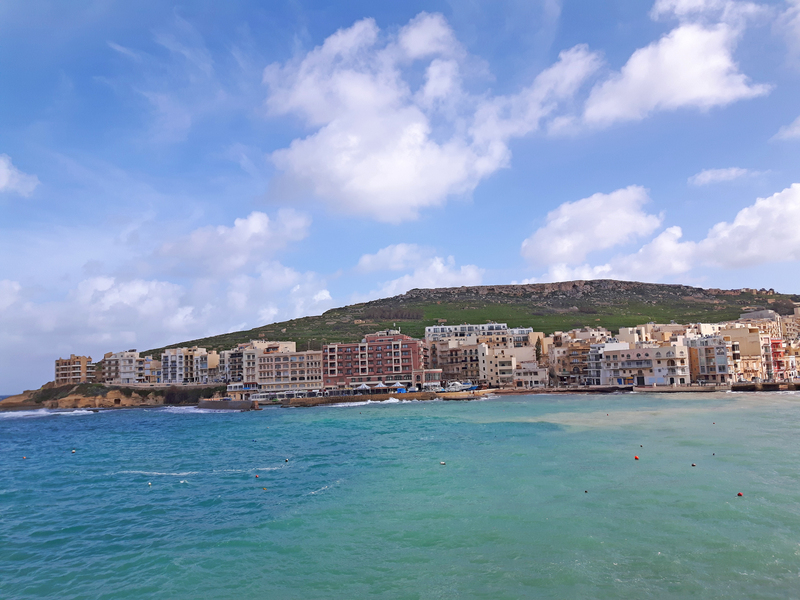 With hot and dry summers, humid spring weather and cooler, yet mild winters, anytime of year is a good time to visit Malta! 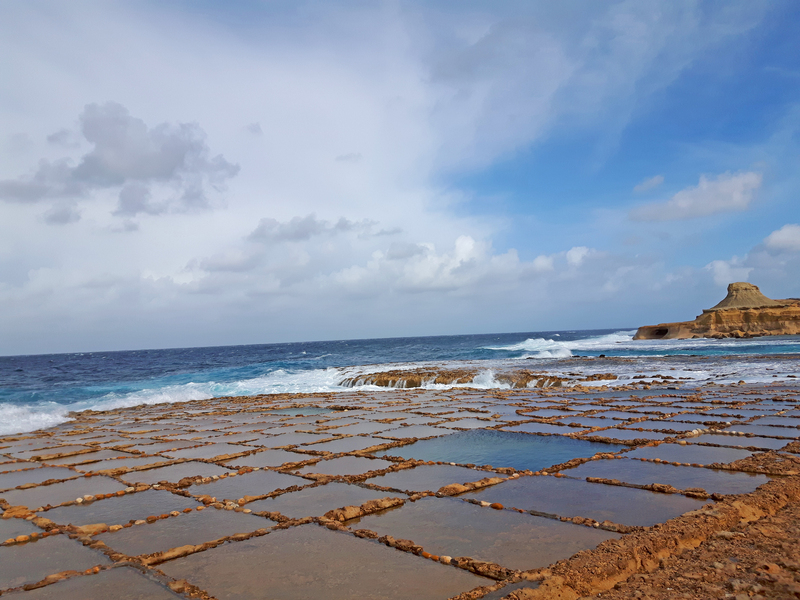 For being a small island country, Malta possesses many gorgeous landscapes, great places to eat and relax and years of history around every corner of the country. Most visitors to Malta tend to only stay for a few days and visit during the busy summer season, which makes the small country rammed with tourists looking for some fun in the sun, but I was there for a full week during off season (February) and I easily could’ve stayed longer to enjoy the comfortably mild weather and virtually zero crowds. With their friendly laid back personalities, the Maltese people sure know how to make you feel welcomed and relaxed, which is exactly how you should feel while visiting the Mediterranean during anytime of the year. 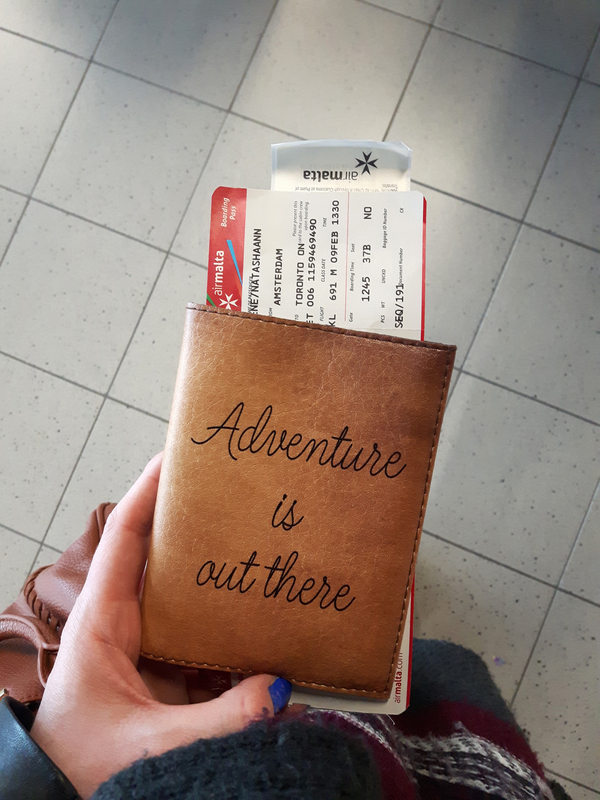 For those travellers that don’t know where to start with where to go, what to see, or what to do while visiting this gem of a country, don’t worry…I’ve got you! I’ve created the perfect one week long off season itinerary for visiting Malta. Arriving at Luqa Malta International Airport is a breeze and so is getting to your hotel via shuttle bus. As soon as you head down the escalator to the baggage claim area, you will see a desk arranging shuttles to your hotel and they can even arrange a pick up as well for you departure date, which is what I did at a reasonable cost of 14 Euros. Way cheaper than a taxi. The trip from the airport to Sliema is a short 25 minute journey…depending on traffic. Sliema is a coastal town situated on the northeast side of Malta, near the city of St. Julians. 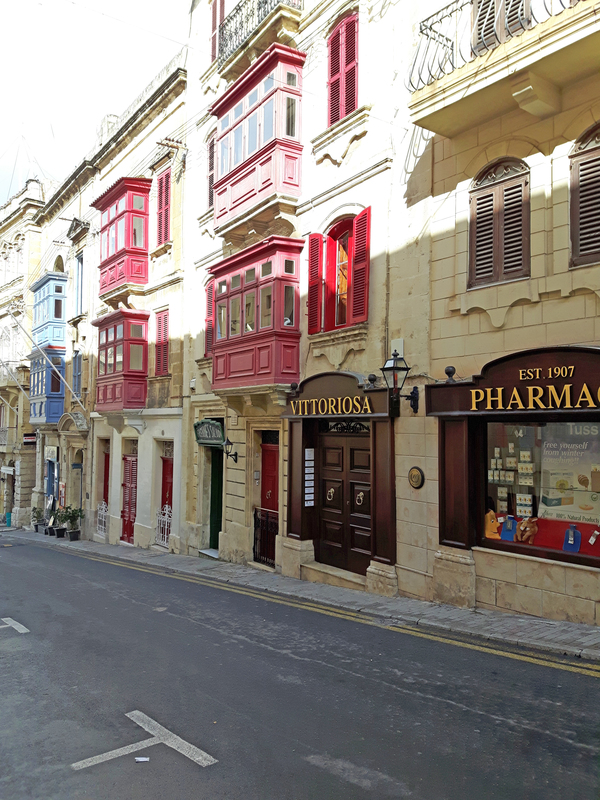 Once the home of Malta’s big shots, it has now become a major commercial area that is popular for shopping, bars, cafés, restaurants, luxury condos and hotels, but still manages to have some older, quaint side streets with famous Maltese architecture. Staying in Sliema just makes sense. 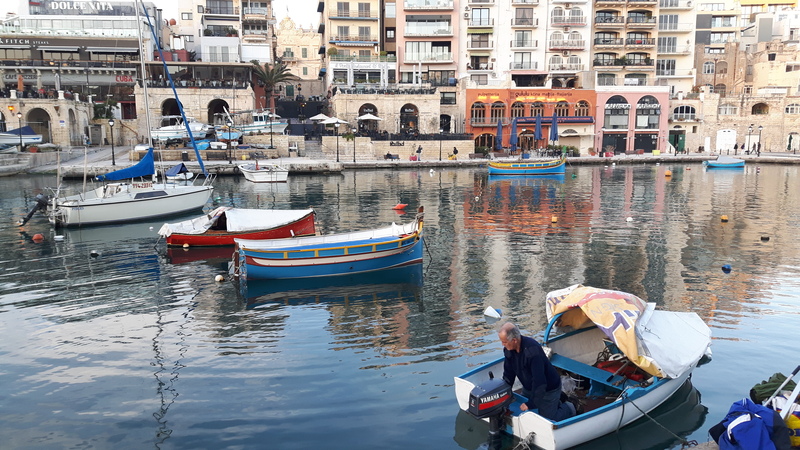 It is close to a lot of other cities and towns, steps away from the major bus stops to take you to those towns and only a ten minute walk to the Sliema-Valletta ferry port, which takes people to Valletta across the harbour in under ten minutes. Spend your first day getting acquainted with the area and admire the architecture. Grab a bite to eat at the many restaurants in the surrounding area and once you’ve filled up on delicious food, take a walk over to the neigbouring town of St. Julian’s along the 5km long promenade that snakes around the water’s edge. 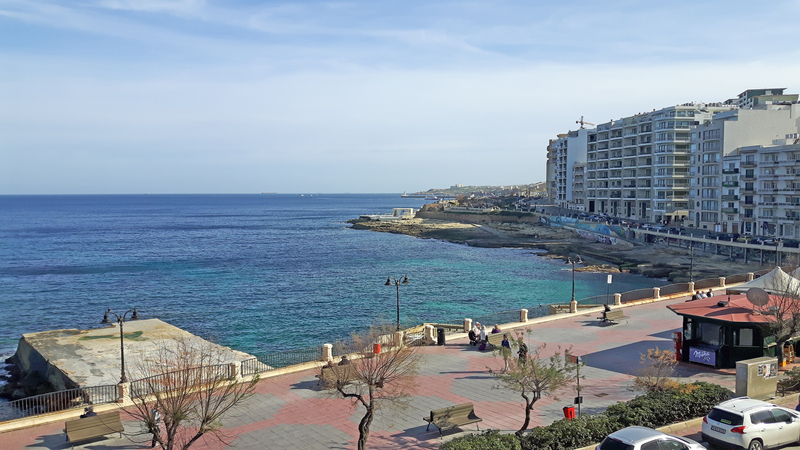 Walk to the Sliema-Valletta ferry port just a short 10 minute walk away from your Sliema hotel and board the ferry going to Valletta. The ferry ride will take a short 10 minutes across the harbour and cost less than 3 Euro for a return ticket. As you approach Valletta, getting closer and closer, you realize that for a small capital city, it has a grandiose presence to it that immediately demands the attention of all the passengers on board. 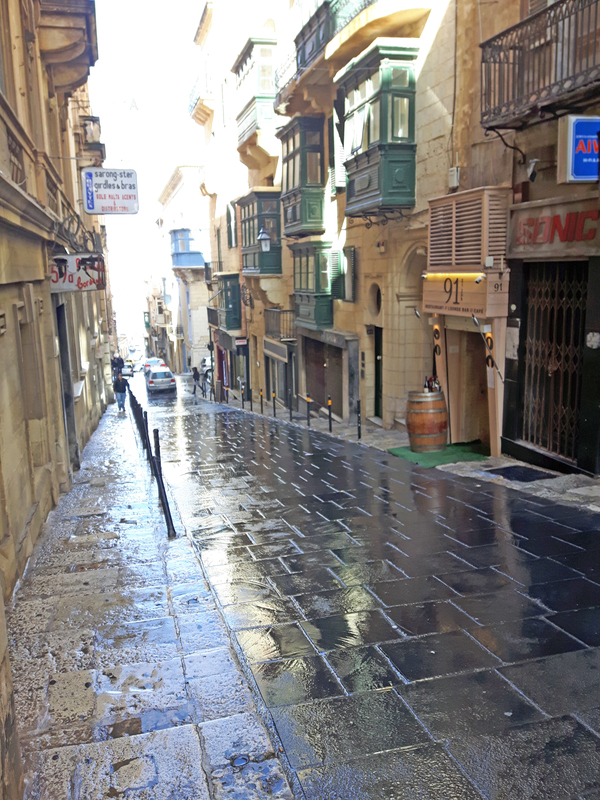 Being the smallest capital city in Europe, Valletta is a city best explored on foot. 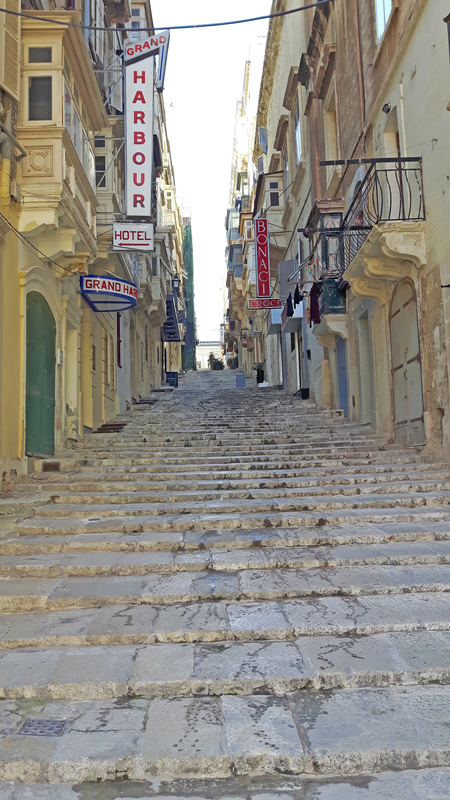 Get lost in the ancient historic streets, which are made up entirely of stairs. 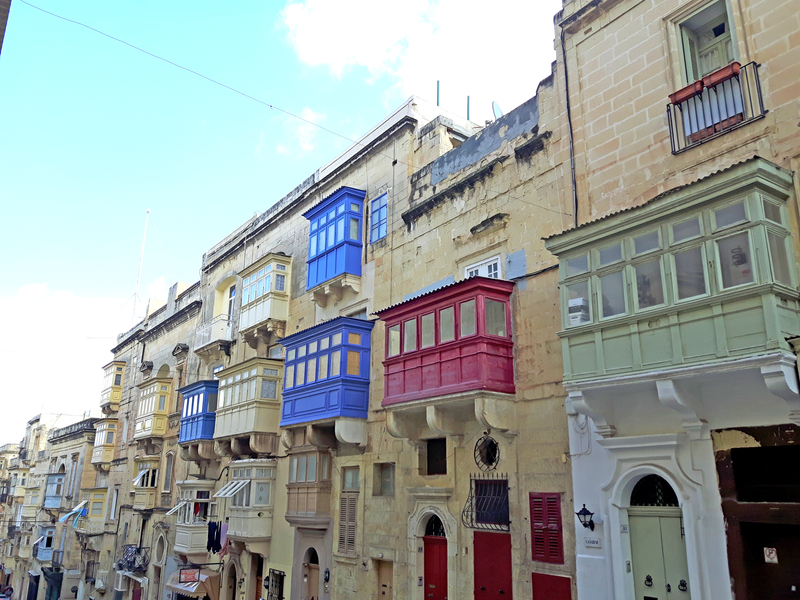 Look up to admire the colourful wooden Maltese balconies and gorgeous details along the Renaissance streets. After roaming around for a bit, you must indulge in a little treat and coffee at Caffe Cordina. This is no ordinary coffee shop. It is world renowned and famous for its decadent cakes and desserts. Caffe Cordina was founded in 1837, but then relocated to Valletta in 1944 by the the late Mr. Cesare Cordina, forefather of the present family. Caffe Cordina’s location is right in the heart of Valletta. It faces Piazza Regina and the impressive Biblioteca and has a massive outdoor seating area that welcomes hundreds of people daily. Definitely a must see for any sweet tooth fanatic, or coffee lover! 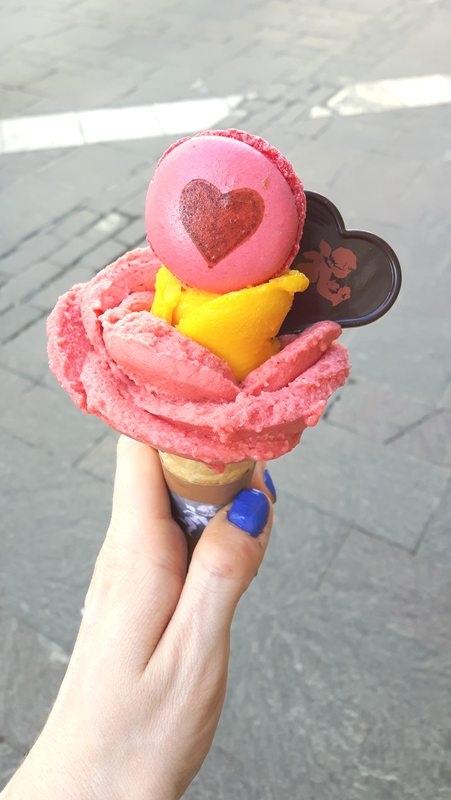 If you want to indulge a bit more, go grab some crazy good gelato from Amorino Gelateria on Republic Street as well. Go…you will NOT regret it. 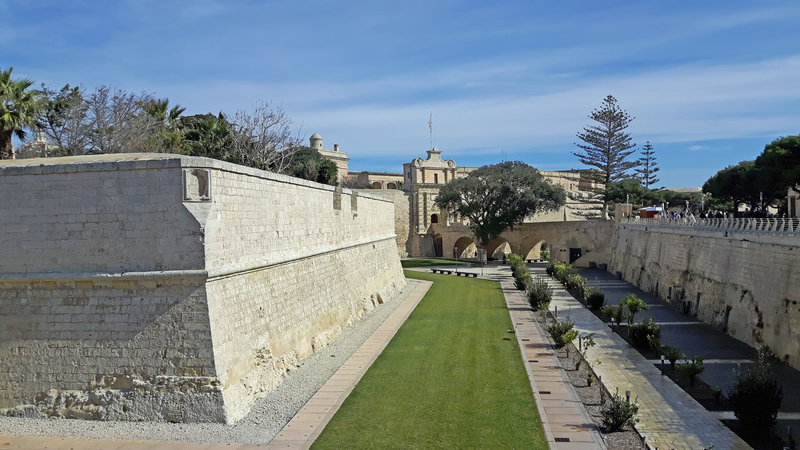 Explore the Upper Barrakka Gardens, which is a small, but beautifully manicured garden situated on the highest point of Valletta and overlooks the Grand Harbour towards the Three Cities. The gardens date back to 1661 and used to be a private garden for the Knights. 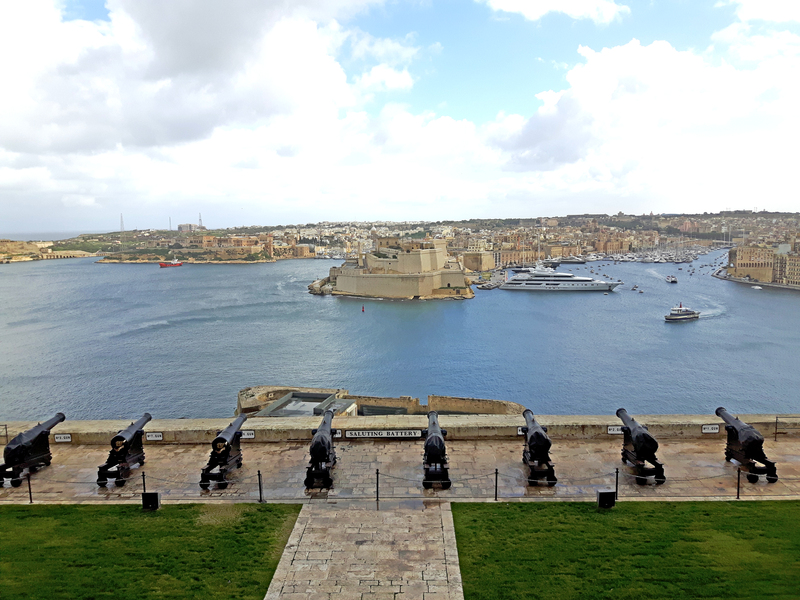 Every day at noon, members of the Malta Heritage Society (dressed in British Artillery uniforms) fire off a salute from the cannons. Time permitting, visit St. John’s Co. Cathedral if you are a fan of art history, like I am. 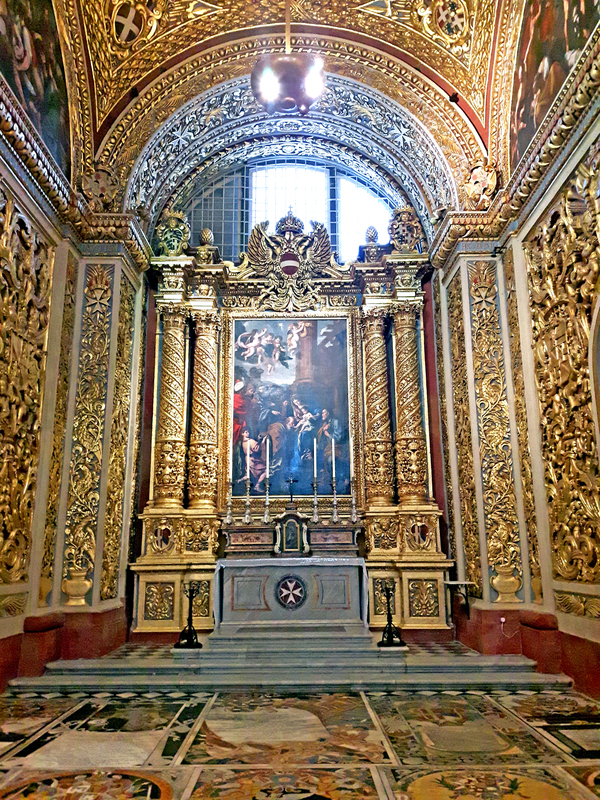 Once inside the cathedral, gaze up at the vaulted ceiling, which was done by the famous Calabrian artist, Mattia Pretti. The Oratory contains what may be one of the most famous paintings from the 17th century; The Beheading of St. John the Baptist (1608). Michelangelo Merisi, otherwise known as Caravaggio. 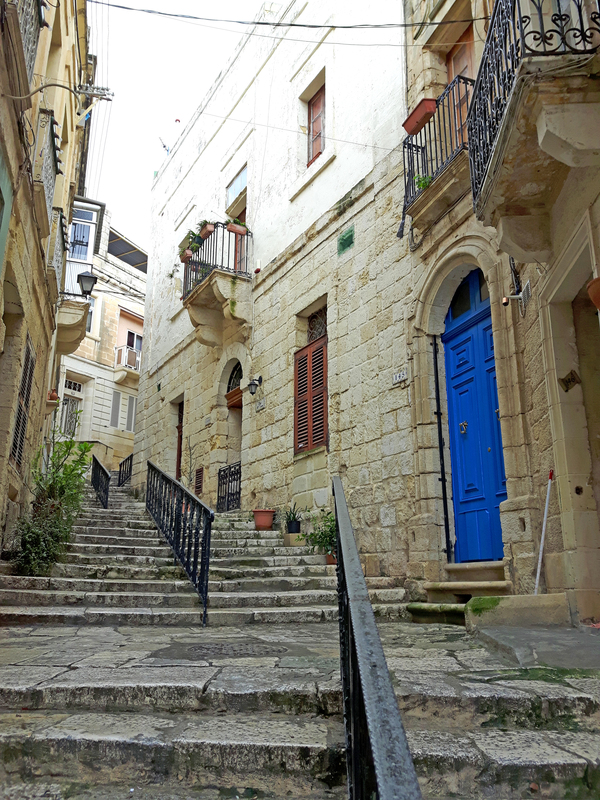 From Sliema, jump on the 202 bus towards the medieval walled city of Mdina. 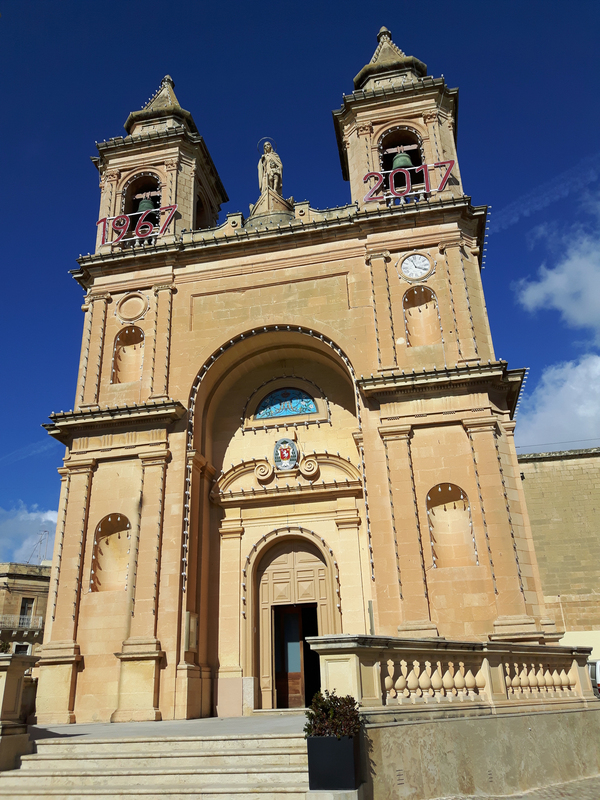 Mdina was once part of the same settlement as its neighbouring city of Ir-Rabat until the Arabs decided to wall Mdina off and make it into a fortress city with a lavish Baroque style gate leading into the city walls, which was added in 1724. 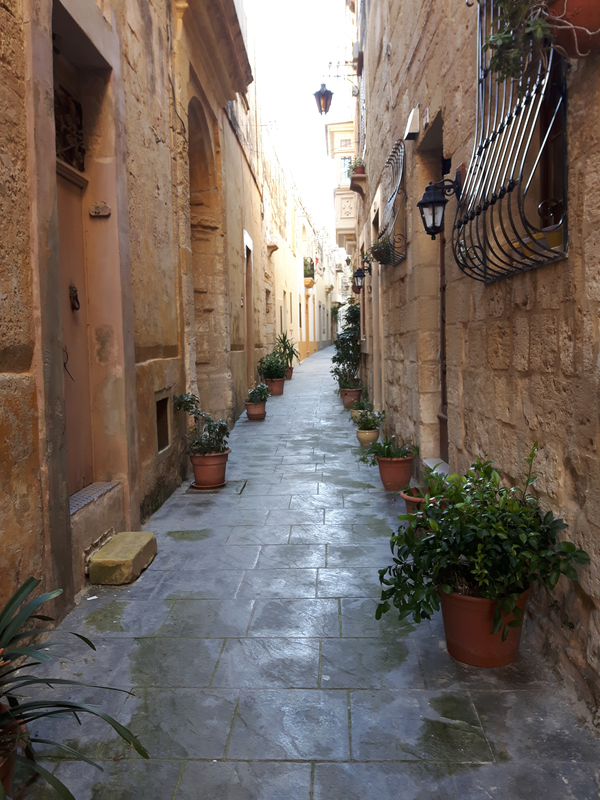 Mdina is a lot older than Valletta and dates back approximately 4,000 years. It was built by the Phoenicians then conquered by the Normans and later run by the Knights of Malta. The bus ride through the Maltese countryside on the way to Mdina is gorgeous. As the bus weaves around the streets, Mdina comes into full view on top of a hill, glowing in the sunshine. 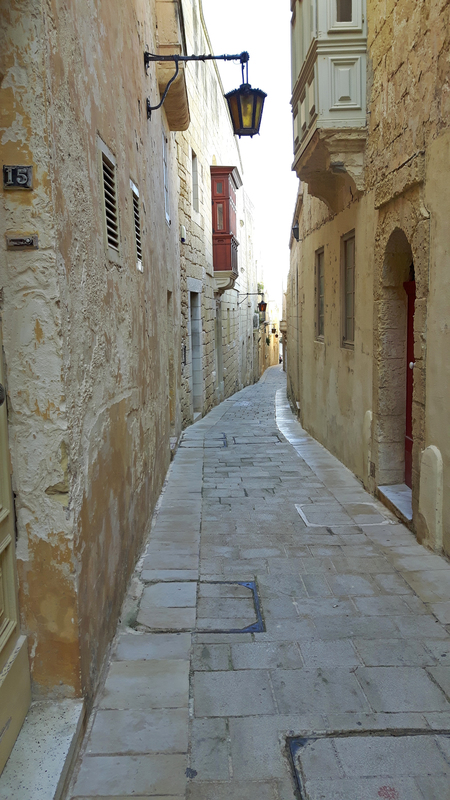 Mdina is also known as the Silent City, due to the fact that no cars, except those that belong to a limited number of residents, have permission to enter Mdina. This provides a relaxing atmosphere for the visitors walking its narrow streets and alleyways. 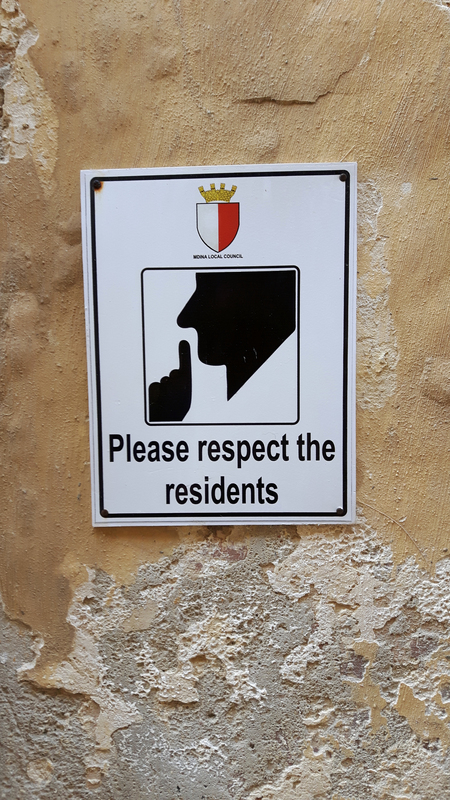 There are signs everywhere reminding visitors to keep quiet and respect the residences, so you know they take the name of Silent City very seriously. 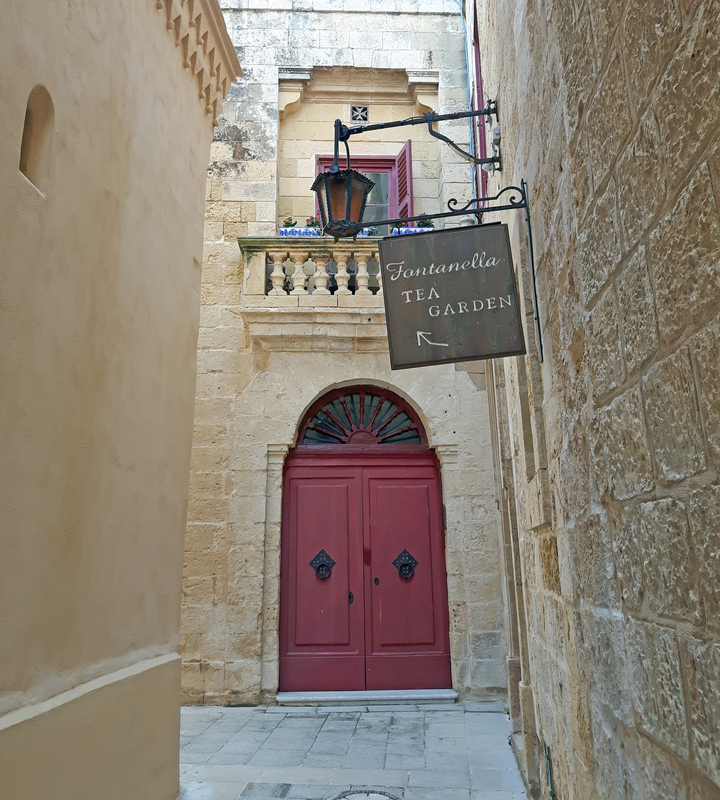 Although there isn’t a lot to do within Mdina, its charm and allure comes from meandering the tiny historical streets aimlessly without a care in the world. After wandering the streets all morning, head to the adorable restaurant and tea garden called Coogi’s, which has a lush green patio that looks like something out of gardening magazine. 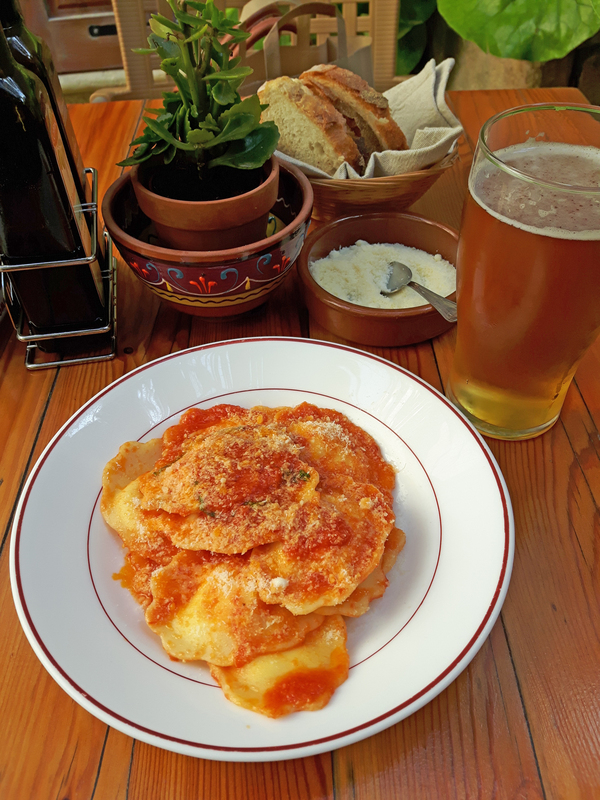 Get the homemade cheese ravioli…you will not be disappointed. If you’re still hungry, stop by Fontanella Tea Garden for dessert. 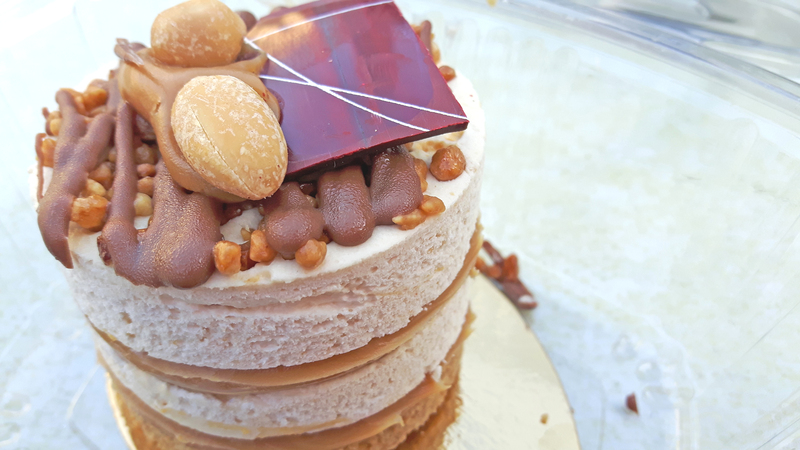 Fontanella is famous for their decadent cakes and amazing coffee. The top terrace also boasts incredible countryside views over the bastions in which you can see the Mediterranean Sea in the distance. Make sure to get there early because there is almost always a waiting list. Give yourself an extra hour before your hour long bus ride back to Sliema and head across the street into the neigbouring city of Ir-Rabat. 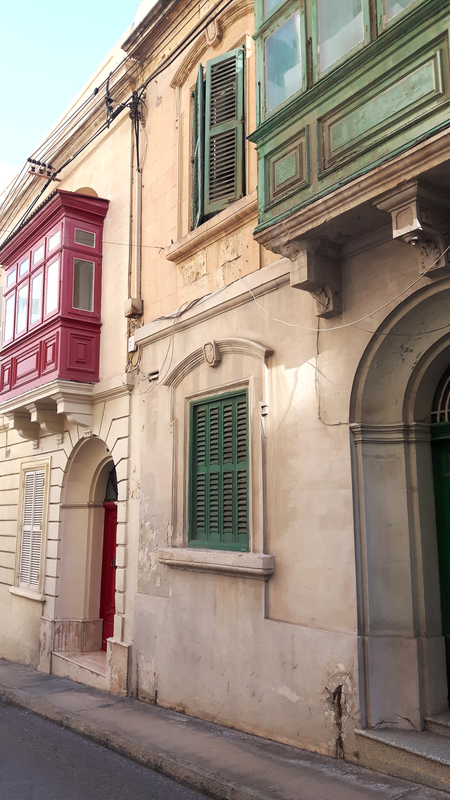 Ir-Rabat was once part of the same settlement as Mdina and is full of quaint alleyways, cozy pubs tucked away secretly in the streets and colourful ornate doorways, which Malta is famous for. Looking for a little adrenaline rush while visiting Malta? 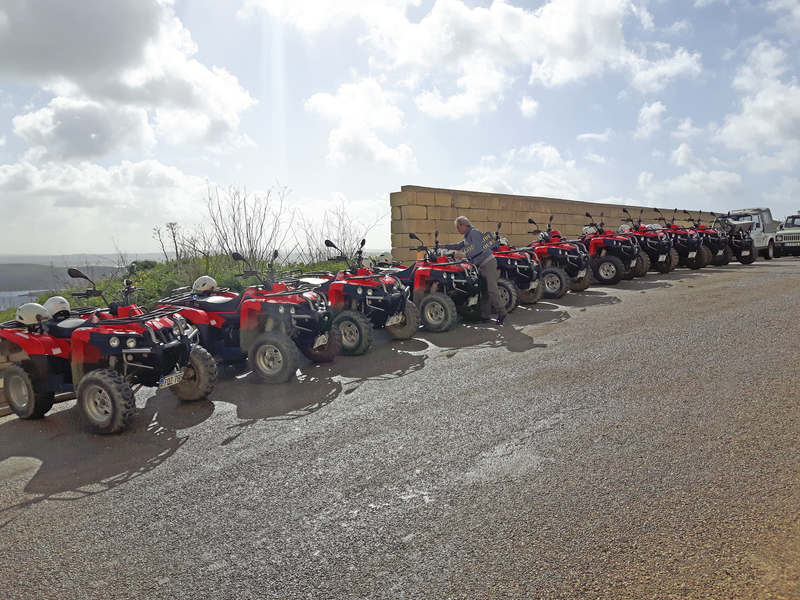 Head to Gozo and explore the island on an epic ATV tour with Gozo Pride Tours. 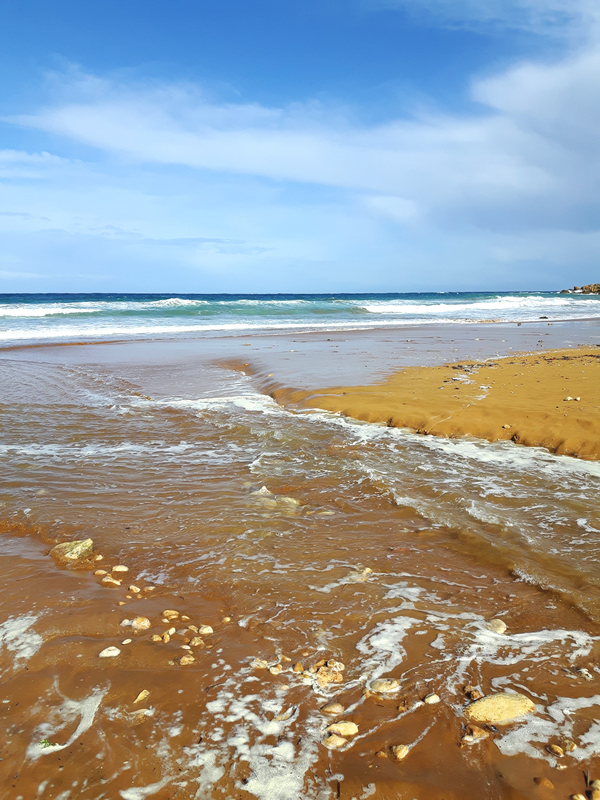 Gozo is actually the second largest island that makes up the three Maltese islands. Gozo is the smaller, greener and quieter island off the main island of Malta. The coastline of Gozo is made up of blue waters and large stunning cliffs that protrude out of the sea, so you’re definitely going to enjoy some beautiful views. Book your tour in advance to ensure yourself a spot. The tour will start with an 8:15am hotel pick-up and then your driver will take you to the ferry port in Cirkewwa. Once you arrive at the ferry port, your driver will drop you off and let you know how to proceed to Gozo. Head inside to grab your ferry ticket and wait until the ferry to Gozo boards. After you board the ferry, you should arrive to Gozo within 45 minutes (weather pending). 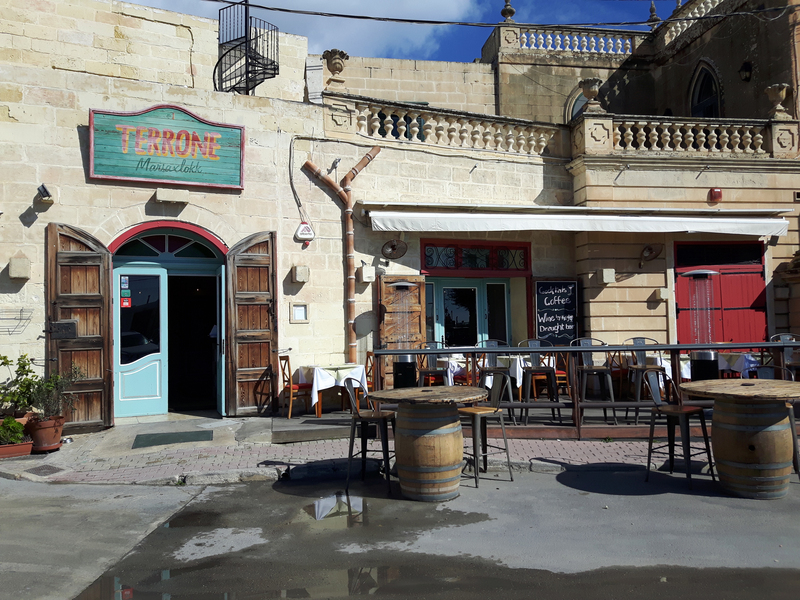 Once you disembark from the ferry in Gozo, you’ll be met outside the ferry port by your guide, from Gozo Pride Tours and then you’ll be taken to the office where your dirt stallions are waiting for you. 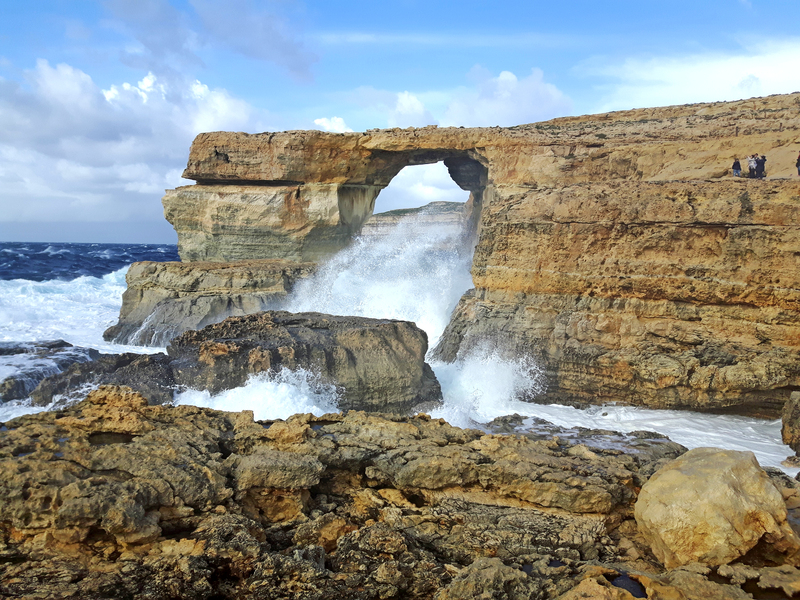 Some stops along the tour include Ramla Bay, Marsalforn, the salt pans of Gozo in Reqqa Point and of course, you’ll be taken to the former spot of the infamous Azure Window, located on Dwerja Bay, which is still a stunning spot to see even after it’s collapse approximately one year ago. Once the tour concludes, you’ll board the ferry back to Cirkewwa where your driver from the morning will be waiting to take you back to your hotel. Make your way to the infamous fortified Three Cities of Malta today. The Three Cities are located across the Grand Harbour in Valletta and are made up of Vittoriosa (Il-Birgu), Senglea (L-Isla) and Cospicua (Bormla). To get to the Three Cities from Sliema, you will have to board the Sliema-Valletta ferry, then from Valletta, the easiest way to get to the Valletta-Cospicua ferry terminal is to head to the Upper Barrakka Gardens and take the new, large glass elevator down, which takes you just a short distance from the ferry. 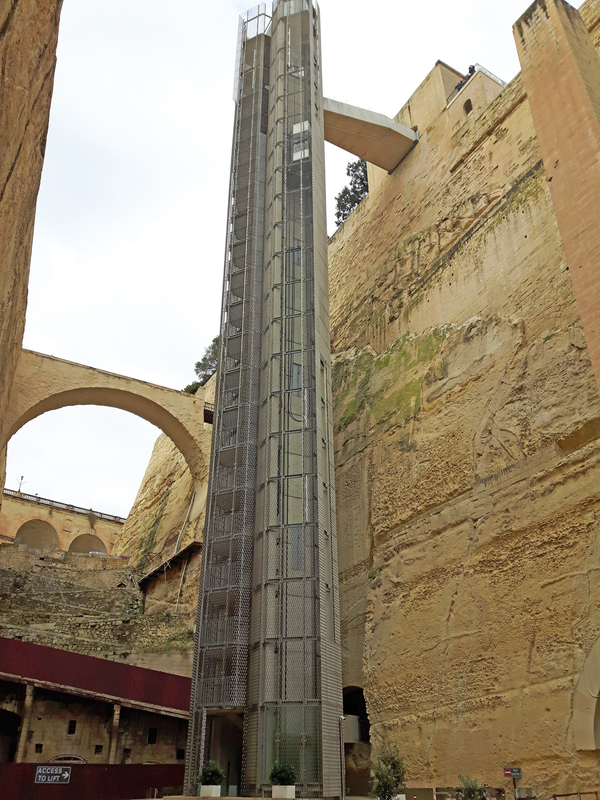 The elevator is free to go down, but you must pay to go back up into Valletta. 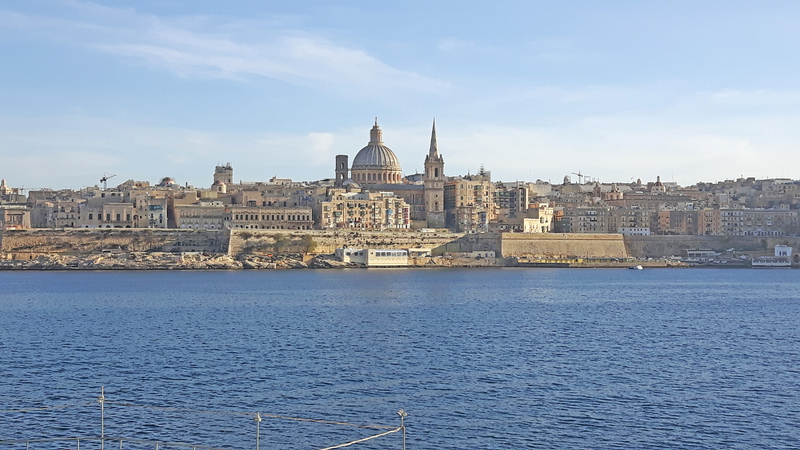 As you board the ferry and set across the Grand Harbour, you’ll have a fantastic view of the Valletta skyline behind you. The ferry will dock in the harbour of Cospicua, which is the largest of the Three Cities and is known to most by its earlier name, Bormla. Vittoriosa, otherwise known as Birgu, is the oldest of The Three Cities with its origins reaching back to medieval times. At approximately 800m long and 400m wide, Vittoriosa is easily navigated by foot and enjoyable as you make your way through the old streets with windows lined with bright flower pots. Birgu occupies a portion of land with Fort Saint Angelo at its head and the city of Cospicua at its base. 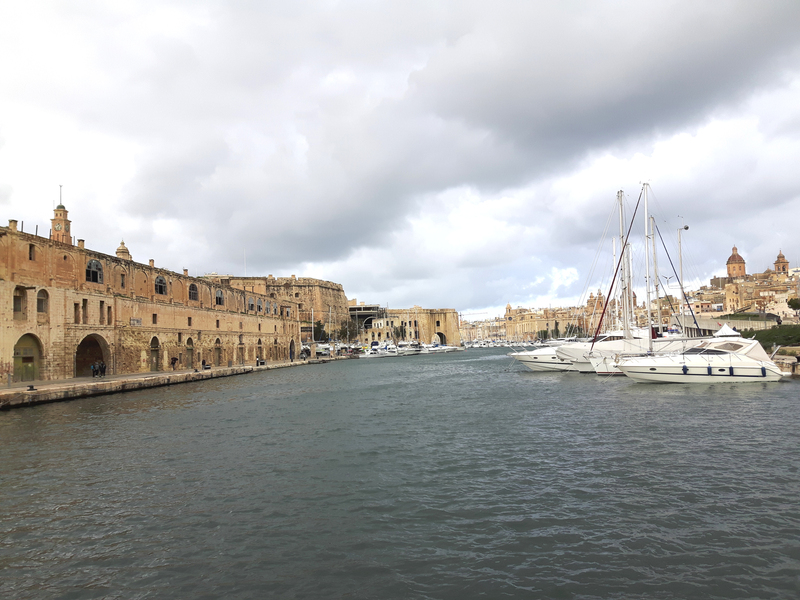 Senglea, like Valletta, is formed in a grid pattern, so it’s easily navigated on foot. 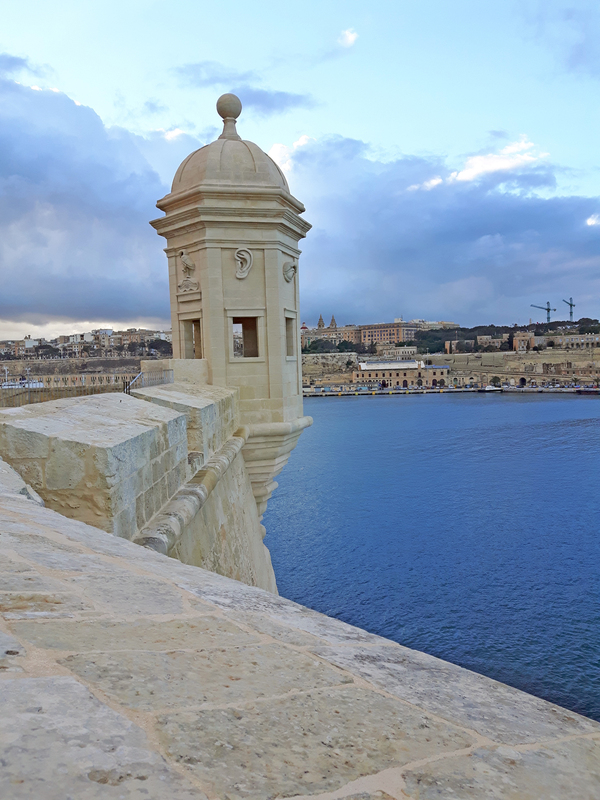 The city was pretty much destroyed during WWII, so there are very little historic elements left to it, but one famous thing Senglea does have is located at the very tip of the peninsula and is one of the classic sights of Malta; the little vedette (watchtower). The watchtower is located in the Gardjola Gardens in Senglea. It is decorated with carvings of eyes and ears, which symbolize watchfulness. 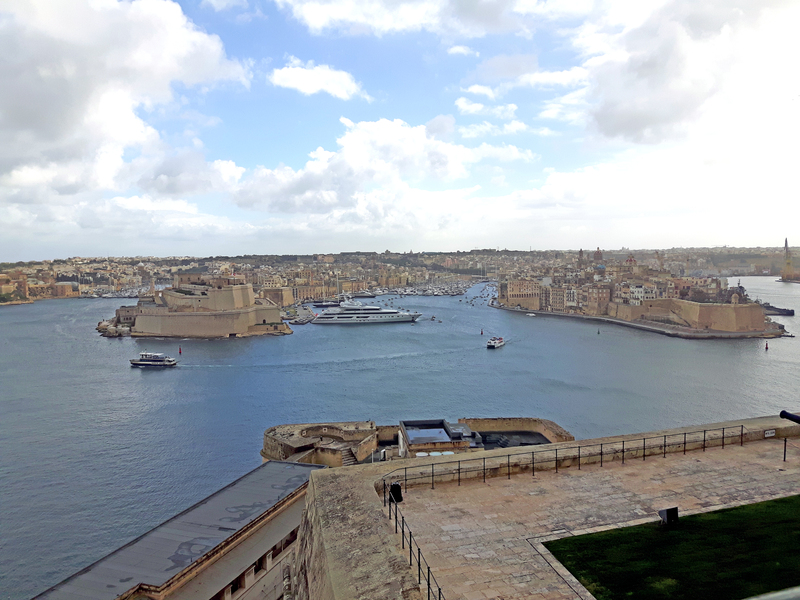 It has a view to the west over the length of the Grand Harbour and southern flanks of Valletta, which is a must visit when wandering the streets of Senglea. 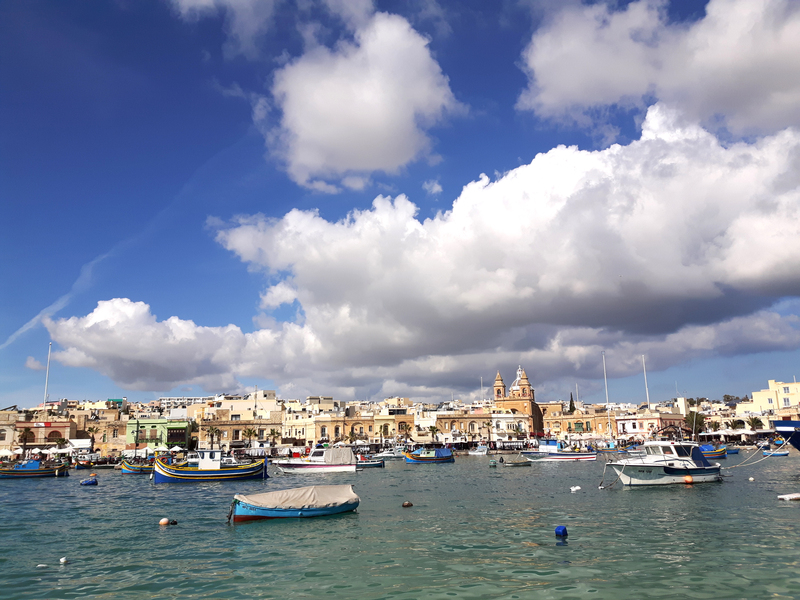 For your last full day in Malta, jump on the 85 local bus from Valletta and head to the sleepy fishing village of Marsaxlokk. Located in the Southeastern part of Malta, Marsaxlokk is the perfect place to wind down, relax and people watch before ending your trip. With a small population that coasts just over 3,500 people, this traditional fishing village is the epitome of Maltese culture. 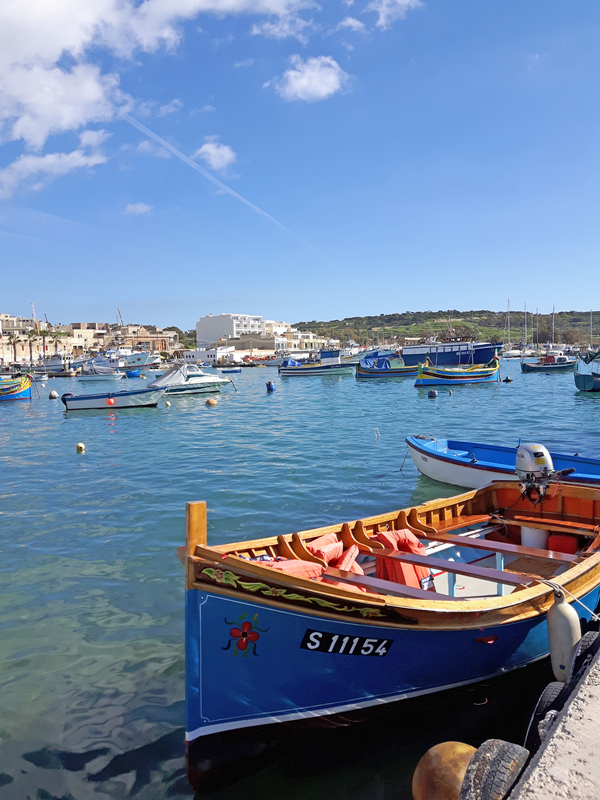 Marsaxlokk is most famous for its busy Sunday fish market and colourful luzzu boats that bob around in the water, as local fishermen tend to their nets and daily catch. If you happen to visit on a weekday, you’ll practically have the village all to yourself. Walk around the water’s edge and the village square to admire the Church of Our Lady of Pompeii and then pop into one of the many restaurants lining the promenade for a quick drink and bite to eat. 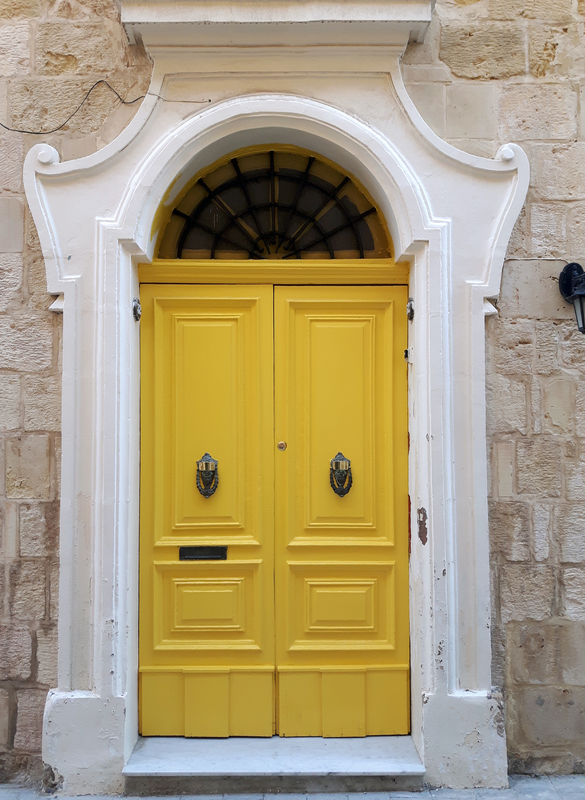 Walking around the quiet streets of Marsaxlokk, you will see how Maltese people go about their daily lives and appreciate the hard work and dedication that still goes into keeping traditional villages like Marsaxlokk alive and thriving. Once you’re ready to head back towards Valletta, hop back on the 85 bus where you originally got dropped off. The shuttle bus you arranged when you arrived at Luqa Malta International Airport will pick you up fairly early (depending on your departure time) at your hotel in Sliema and take you to the Departures Terminal at the airport. The pickup and drop-off will take approximately 25 minutes and you should be ready to go at your hotel lobby. They will come in to verify your name, flight and take off time. This is just a rough one week itinerary of how you can plan your visit to Malta, but there are many other cities, villages and sites that you could see that are easily reached by local bus. More information about the Sliema-Valletta ferry and a printable timetable and ticket prices can be found HERE on their website. More information about the ferry to The Three Cities via the Valletta-Cospicua ferry from Valletta and a printable timetable with costs can be found HERE.